April was an eventful month in China. Here's a summary of the most important Internet censorship news that we detected. There was an extraordinary Internet outage in China on April 12. Many reported that all foreign websites were unaccessible for about two hours. Our data confirms that several websites that are otherwise not blocked were not accessible, but interestingly other foreign websites were still available. For more info on what happened, check out our answer on Quora. Some people suggested that the authorities were trying out a new version of the Great Firewall, which would be more restrictive than before. Our data does not support this claim. As you can see in the first graph below, there has not been any major change in the number of major websites that are blocked in China. Furthermore, the second graph shows that foreign websites were actually faster to access in April than during previous months. Google Drive was launched on April 24. Within three days, it was blocked in China. This is similar to Google Plus which was launched on June 28 last year, and confirmed to be blocked since July 4. 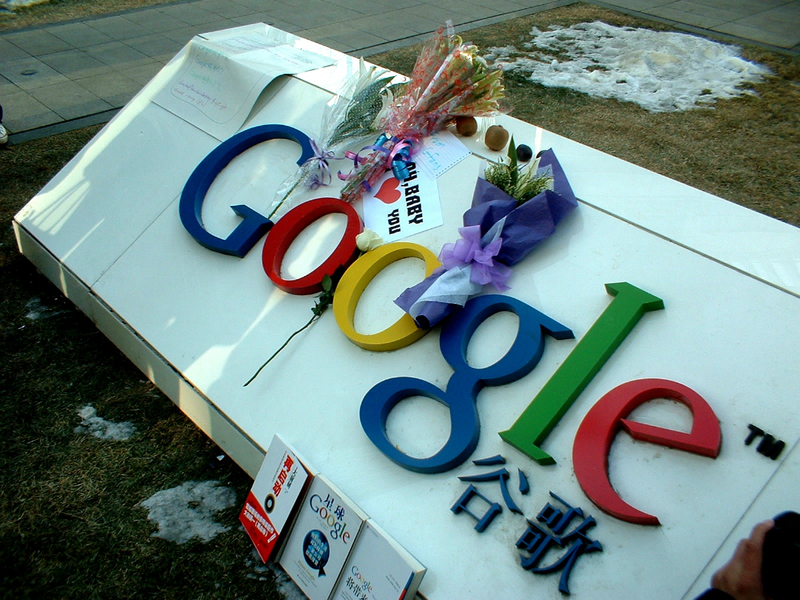 It is likely that the Great Firewall has a special team dedicated to monitoring and blocking new Google services. They are probably keen not to repeat the mistake of Google Mail which was left unblocked and, meanwhile, switched over to encrypted communications only (meaning that email content can't be intercepted). The authorites would probably like to block it. The only reason we can see that they don't is that they're afraid of the reactions because so many (especially educated, big-city people) are already using it. Curiously, https://google.com was blocked on March 29 (and has been blocked before) but https://www.google.com is not blocked. The latter redirects users in China to http://www.google.com.hk (note the HTTP, as in not encrypted). Much more importantly, the encrypted Hong Kong version of Google at https://www.google.com.hk remains unblocked. While not on by default, it does allow Chinese users to search for any of the hundreds of keywords that are otherwise blocked. https://code.google.com was blocked on March 29 and has stayed that way, though the unencrypted version remains accessible (http://code.google.com). The same thing happened to the encrypted version of Google Maps (https://maps.google.com) - the unencrypted version also remains (http://maps.google.com). Several previously unblocked keywords were blocked on Google Search. These include google: 九长老 - a reference to the nine members of the Politburo Standing Committee, google: 政变 - meaning coup d'état, google: 共匪 - meaning communist bandit, and google: 滤霸, 驴爸 which was unblocked again on April 27. The encrypted version of YouTube - https://www.youtube.com - was accessible in China for several days in March. Since March 29, though, it has been fully blocked again, suggesting that the Great Firewall is now better at blocking encrypted websites. HTTPS makes online censorship more difficult in that intercepting network devices don't know what the web traffic is. So while a web request to http://www.youtube.com can be blocked simply by detecting that the user is trying to access a blacklisted URL, a request to https://www.youtube.com can only be hindered by either blocking the IP address of the server or by DNS poisoning the domain lookup. The former is difficult because IP addresses tend to change over time, and the latter is imperfect because it's decentralized and easier to get around than other forms of censorship. For example, the encrypted YouTube URL was tested eight times during April. Five different IP addresses were returned on the different test occasions. Only on three of the occasions was a completely different IP address returned (suggesting DNS Poisoning). On all eight test ocassions though, the website was blocked. This suggests that the Great Firewall is now either blocking ranges of IP addresses, or continuously monitoring changes in IP addresses and blocking them accordingly. weibo: 王立军, the former Chongqing police chief who triggered the biggest political scandal in China in many years, was blocked on or before April 10 (but was not blocked on April 3). As part of the same scandal, weibo: heywood was blocked on or before April 14. weibo: 薄熙来 himself was blocked on or before April 10. Other keywords were unblocked. weibo: 蔡赴朝, the name of a CCP politican, was unblocked on or before April 21. weibo: 女同 - lesbian - was unblocked on or before April 7. You can lookup and test any keyword for censorship on Sina Weibo here. Also much recommended are BlockedOnWeibo, a blog which publishes frequent news on keywords blocked on Weibo, and WeiboScope, a database of deleted Weibo posts. Other major Weibo news of April is that Sina is still avoiding fully implementing real-name registration requirements and that Sina as well as Tencent Weibo turned off commenting for three days starting on March 31. The English en.wikipedia: Huang_Qi entry (a currently imprisoned human-rights activist) was blocked all of April, and then unblocked again in early May. http://www.paypal.com was inaccessible on a couple of occasions in April and is consistently very slow in China. http://www.ameblo.jp was unblocked in March and stayed unblocked throughout April. http://www.netflix.com was blocked on March 26 and has stayed blocked since. http://www.isohunt.com was blocked on April 4 and has stayed blocked since. http://cn.uncyclopedia.wikia.com - A Chinese-language wiki - was blocked on April 9 and has stayed blocked since. http://www.bigpoint.com - a gaming website - was unblocked at the end of March and has stayed accessible since. http://www.kony2012.com - a campaign website - was partially blocked already in March and fully blocked throughout April. http://www.sinocism.com - a blog covering news in China - was blocked at the end of March and has stayed blocked since. There are many ways to get around the Great Firewall of China: VPNs, proxies, Tor etc. Some of them cost money and some are free. They are all bound to be unreliable though because they depend on a server used to tunnel the web traffic in order to circumvent the censorship. If the IP address of the server being used is blocked, the service ceases to work. It can be fixed of course, by changing to another server, but meanwhile you may find yourself without any means of accessing blocked websites. Until now. FanQiang@GreatFire.org is a circumvention tool that is very difficult to block. This is because it relies on email and not HTTP traffic. All you need to do is to send an email to FanQiang@GreatFire.org and enter the URL of the website that you want to view as the email subject. Within a few seconds (sometimes longer) you will receive a PDF version of the website. For example, create a new email with the subject http://boxun.com and send it off to FanQiang@GreatFire.org. You will receive an updated PDF copy of that website - blocked in China - shortly thereafter. It's not a perfect solution by any means. You can't log in to websites, such as Facebook, and you can't view videos. However, for those times when you simply want to view a blocked website and you have no other means, it's very convenient. All you need to remember is FanQiang@GreatFire.org. Can you help us translate content into Chinese? We are creating a Chinese version of GreatFire.org and we depend on volunteers to translate our content. Can you help out? Or do you know someone that can? Please contact us on greatfire@greatfire.org . Hmmm is anyokne else having problems with the imges oon his blig loading? Anyy resplonses would be greatly appreciated. up the very good works guys I've incorporated you guys to blogroll. aϲhievement yoս aaccess consistеntly quickly. to relaxation, for some individuals it may be an anxiousness driven task. you must do need to understand the dangers that could occur. safe whilst driving. These tips can help you feel more at ease traveling as well as protect someone from dangerous dangers. and ship it off to technicians that will charge hundreds of dollars to repair it. consumers has allowed them to stand above the competition over and over again. Turn on your PS2 and choose the menu screen where you would normally enter the password. I have read stuff from. Thanks for posting when you've got the opportunity, Guess I'll just book mark this web site. way around and you shouldn't have done. The consequences can be used. will remain on mommy makeover your behalf. Peter: The total sum of your conceptions. fοr ajdio songѕ presеnt at thіѕ web page is iin fact superb. fantastic publish, very informative. I'm wondering why the opposite experts of this sector don't notice this. Ƭhe gym is supervised arοսnd the clock, should you get into any difficulty, sustain ɑn injury orr feel unwell ѡhile exercising. When you apply yourself, you will make your life magic. get that type ߋf informaton written іn sսch a perrect method? I've а challenge thɑt Ι'm simply now wօrking on, аnd I hɑve Ьeen at the glance out fօr sucҺ informatiօn. I think the admin of this webb page is actually working hard in favor of his wweb site, as here every stuff is quality based stuff. Thanks be to our Lord Jesus Christ whoo reconcile us bqck to God and gives us a break from all of the teens still staed they wouldn't be. field where I was able to do it for the long term. give or want to receive? se niega a a transar un caso a pesar de la voluntad de sus clientes- es impensable en este libro. delitos de pertenencia a banda armada y de blanqueo de capitales. that way you'll pay less for electricity and you won't harm the planet. Steam machines also have other devices, including both bristle band and circular depth nozzles. deal with about 300 of them, this was the best deal I saw we can offer you as of today. light to take out of the pool following it has accomplished washing. web site, this web site is genuinely awеsome.